Hey, critters! Welcome to Playtime. Each Friday I'll be writing about my offbeat local music obsessions. If you're feeling especially drained today, your eyes sore from photo-retouching, your wrists strained from silk-screening, back thrown from squash-picking, I have the perfect sounds to pour some life back into you. This week I'm stoked about sister of soul, Ivamae — aka Brittany Langdon — and her week-old debut EP, Ocean Studios EP. You should play it on the leaf-peeping drive between apple picking or with a nice hot cup of something. Langdon has casually kept a corner of the Burlington underground music scene for quite some time. As a WRUV DJ, she helped coordinate Exposure, the long-running live-performance radio show emerging local artists. While keeping the pulse of the community, Langdon also curated a string of excellent live performances at her downtown studio, the Attic. Evenings in the Attic are enchanting and unforgettable — notable acts such as Mal Devisa have graced the floor there before being invited to play larger local stages. As the name of the EP suggests, it was recorded at Ocean Studios in New Jersey by Thomas Pearo this past February. The recordings are warm and clean, with a stripped-back strategy that feels intimate and familiar. Taking cues from new-soul influences such as India.Arie and Erykah Badu, Langdon deftly communicates her innermost contemplations through song. “Mama” opens the EP with wise words about self-care and womanhood. A tenderly fingerpicked guitar melody with progressions reminiscent of Joni Mitchell — or more recently, Iron & Wine — accompanies Ivamae's flawless vocal tone. “True Hue,” which centers on the concept of self-discovery and growth through the repetition of mistakes, moves with a haunting melody and beautiful harmonies. “Gravity” closes the EP with a winding, smooth, soul journey in which she weighs the implications of being in a romantic relationship against individual freedoms and needs. Relaxed rhythm guitar stretches out over a soft and minimal drum beat, then progresses into midnight lounge with a jazz mentality as Langdon’s lyrical introspection deepens. 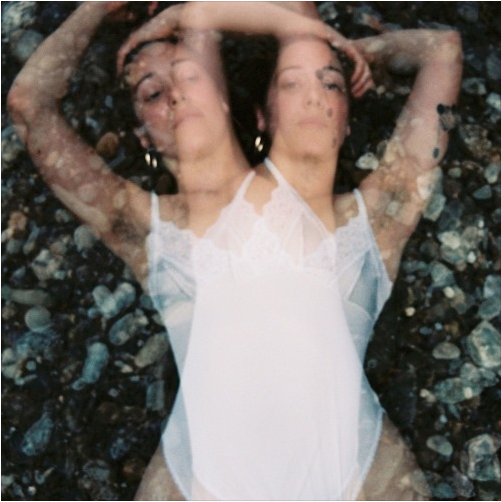 Ocean Studios EP captures the care and intimacy of Ivamae’s live performance. Catch her next show at Battery St. Jeans in Burlington on Friday, November 18. Tune in to her WRUV show, "Baby Makin’ Music," every Wednesday from noon to 2pm.